Clean lines and warm, soft hues have ruled over everything this summer. From beige to taupe, a color story unlike any in the past has shown up all over the streets of major fashion city's and beach towns alike. Over the past year, new jewelry trends such as rosary beads and minimalistic pieces have shown great growth, and unique, one of a kind pieces have taken a back seat to more simplistic styles. I have become obsessed with this trend, and love that these colors and styles have taken over. Compared to a much more bold look, this trend is much more versatile and offers more longevity than others we have seen over the past couple of years. 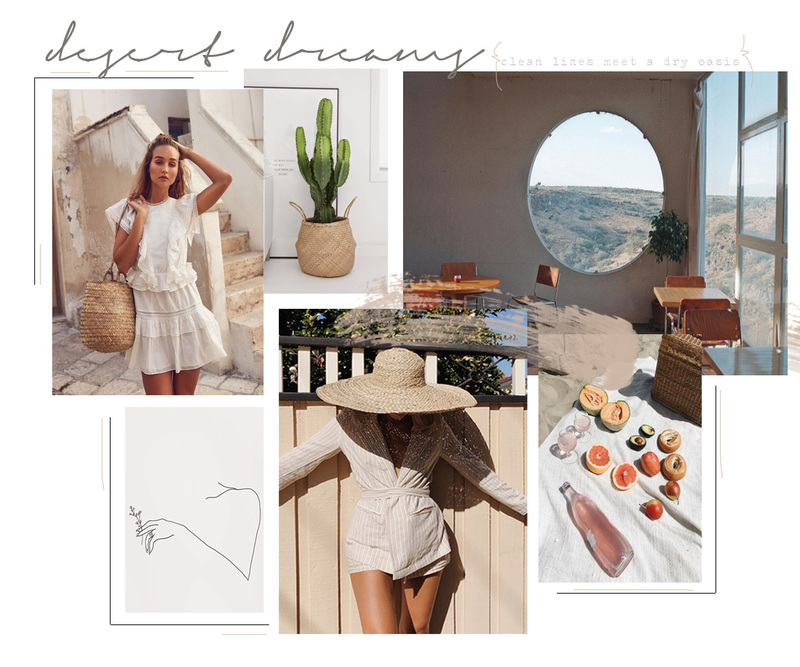 This mood board that I created offers a visual representation of this trend, and allows for us to see the line structure and color play in a very easy, achievable way. 1 comment on "summer on the horizon "